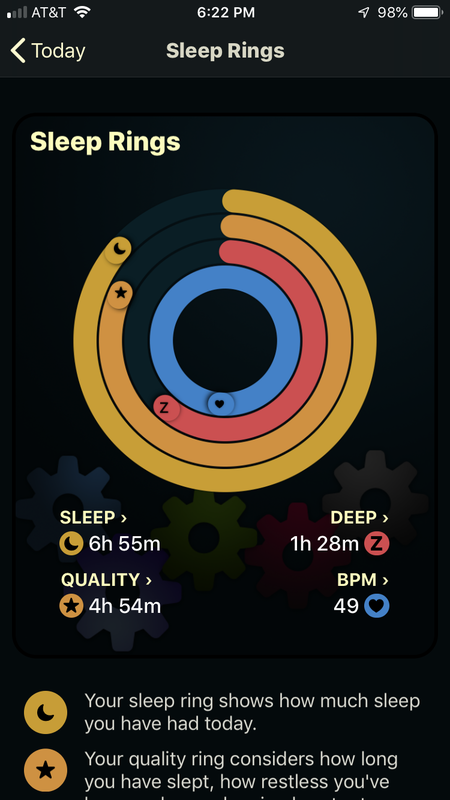 Apple doesn’t currently offer their own sleep-tracking app for the Apple Watch or iPhone. Life can be exhausting, and when you’re not getting a good night’s sleep, it’s hard to be productive, balance your emotions, and stay healthy. We all know the importance of eating right and exercising, but sleep is just as key to promoting a healthy and happy life. Just as you track your steps or count your calories, you should be keeping tabs on your sleep routine. 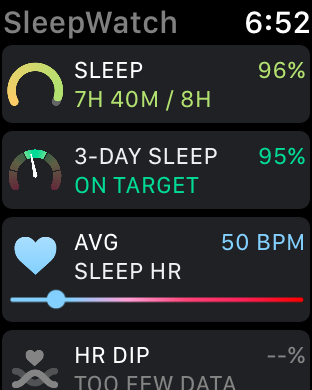 But unfortunately, the Apple Watch doesn’t come equipped with a sleep tracker. AutoSleep offers a super quick setup — you don’t even need to make an account. Perfect for people who like to lay in bed and watch TV or read a book, AutoSleep requires you to tell the app that you’re going to sleep (through its Lights Off function). In other words, a six-hour, unmoving Netflix binge will never trick it into thinking you’ve fallen asleep. 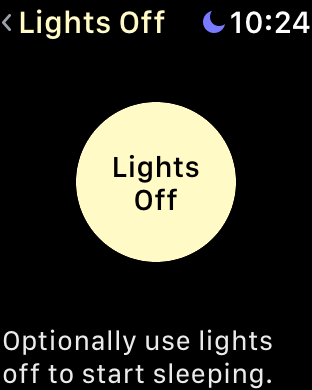 You can activate Lights Off directly from your Apple Watch and track how long it takes you to fall asleep. The sleep rings show your time asleep, your time having quality sleep, your time in deep sleep, and your sleeping heart rate. You can set goals for each of these, and the rings will compare with your goals, letting you know how well you’ve done. There’s also a feature to show your sleep bank for the week. This is based on you getting a full eight hours a night. If you sleep less, you’ll go into debt, and if you sleep more, you’ll have extra credit. 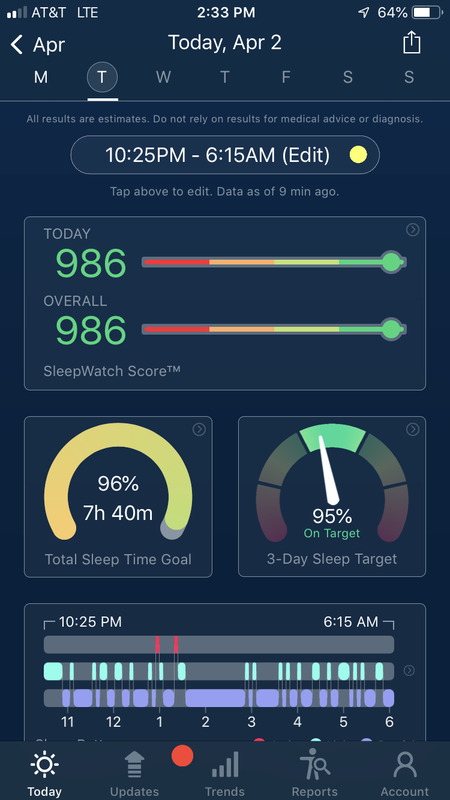 Overall, AutoSleep provides a decent amount of data and you can compare day-to-day to see how your lifestyle affects your sleep. For the one-off charge of $2.99, it’s a great value. Sleep++ is the most basic of the available sleep apps, but it’s free to download and has no hidden extra costs. 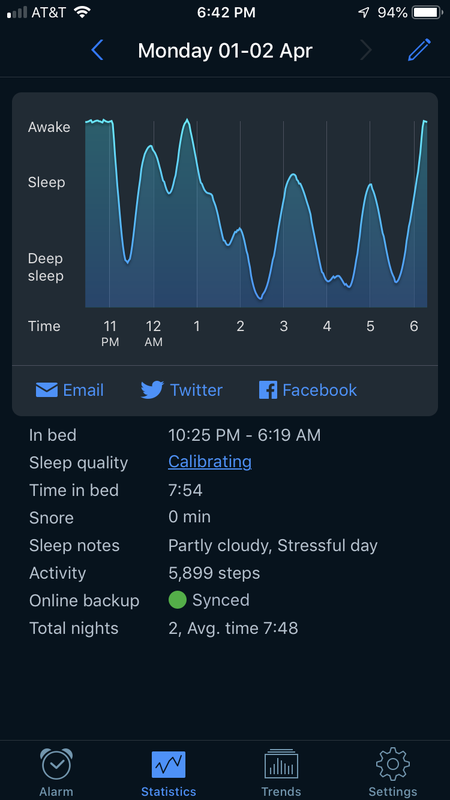 You can choose to have your sleep tracked in auto mode or manual mode. Auto mode will automatically track your sleep, using your movements — or lack thereof — to know when you’re in dreamland. If you use manual mode, you’ll have to tell the app when you’re going to sleep and when you wake up. 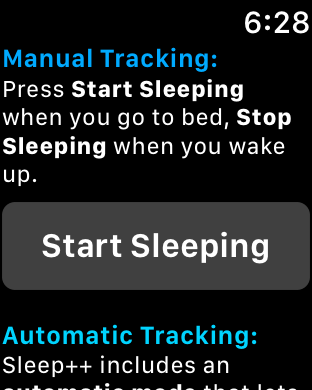 Press “Start Sleeping” and then “Stop Sleeping” on your Apple Watch or in the iPhone app. 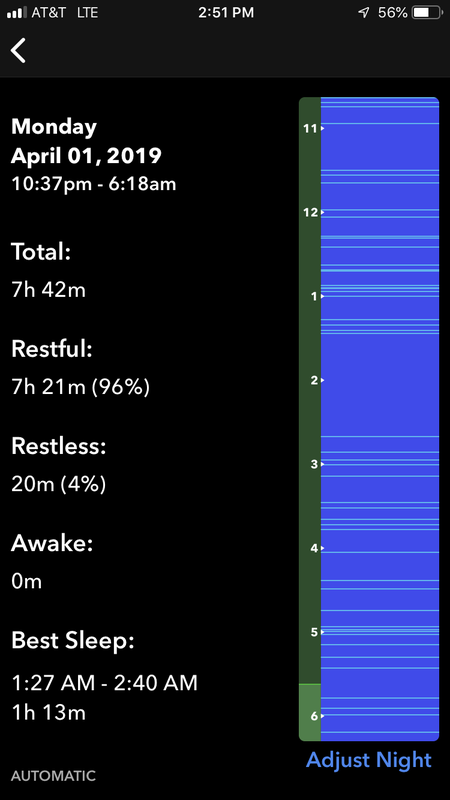 You won’t get much data from this app, just one bar showing you how deep your sleep was. However, it’s totally free and a great place to start your sleep-tracking routine. Sleep Cycle has the unique feature of a built-in alarm with a “Wake up phase,” that automatically wakes you up at the optimal time, based on your sleep pattern. Set the time you need to wake up by, and the app will wake you (using haptic vibrations on your watch) up to 30 minutes before, when you’re in your lightest phase of sleep. You can adjust that time frame in the app if you want a longer window of time before you’re woken up. If you buy the paid version (you get a 1-month trial to test it out first! ), you’ll unlock premium features, like a sleep aid to provide you with soothing sounds, weather alerts when you wake up, and heart rate monitoring. 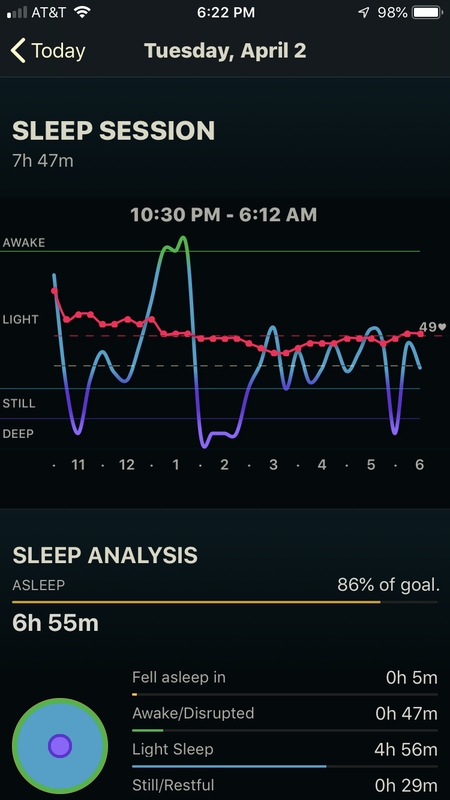 Although the features may be better than the other apps, you won’t receive a data analysis of your sleep cycle. SleepWatch provides the most data of any of the tested apps, but you’ll have to buy a membership to make the most of it, as well as receive heart rate comparisons and comprehensive sleep analyses. The paid membership will give you a numeric value for your quality of sleep — think of it as your sleep credit score! You’ll also get data based on your sleep patterns, a ratio of light-to-restful sleep, and your heart rate. You can view this data on your Apple Watch, as well as on the mobile app.